NOTE: This is the second edition of our Summer Fun-Run routes, in vacation towns in Europe. 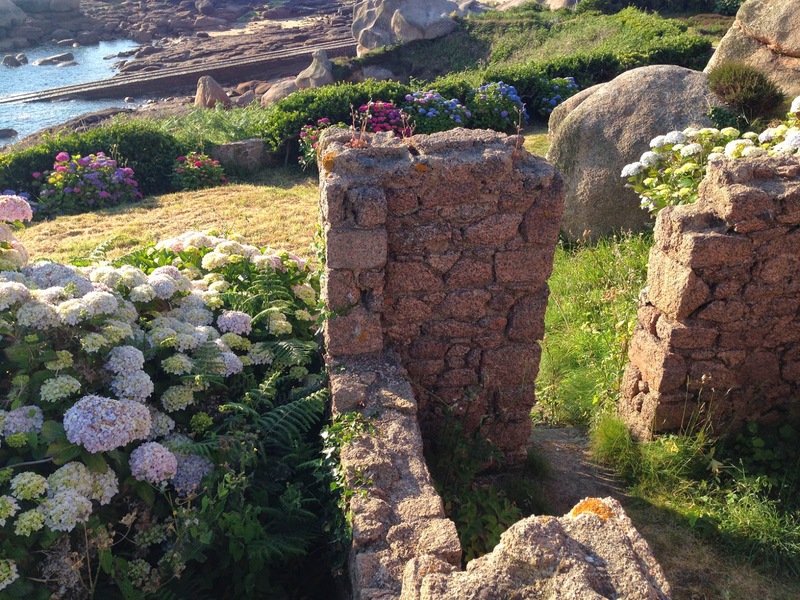 The pink granite coastline at the Ploumanac'h peninsula, in northwestern Brittany, is one of the most inspiring stretches of shore that you'll ever experience. 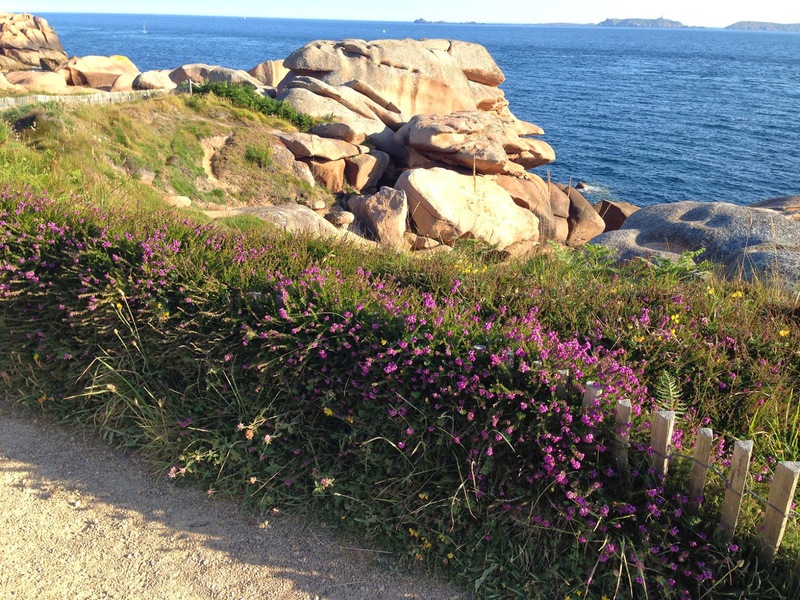 Here's an out-and-back route that follows the best part of the coast, along the Sentier des Douaniers trail right along the cliffs and rocks. Most of the trail is fine for running, with flat gravel surfaces, but there are also lots of spots that go up and over rocks and stone steps, so the going is not always easy or fast. But it's always beautiful and always worth it! 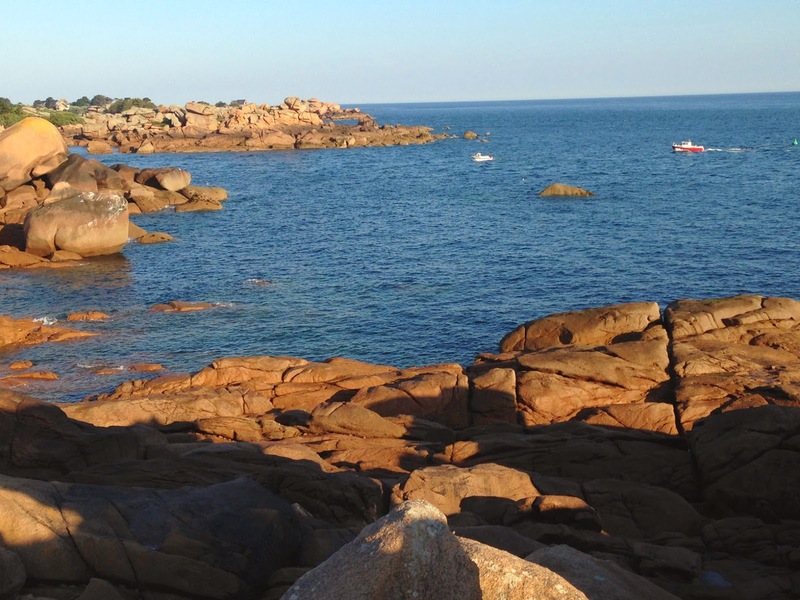 The route starts at the little beach, Plage de Saint-Guirec, a small stretch of sand amid boulders and little islands. 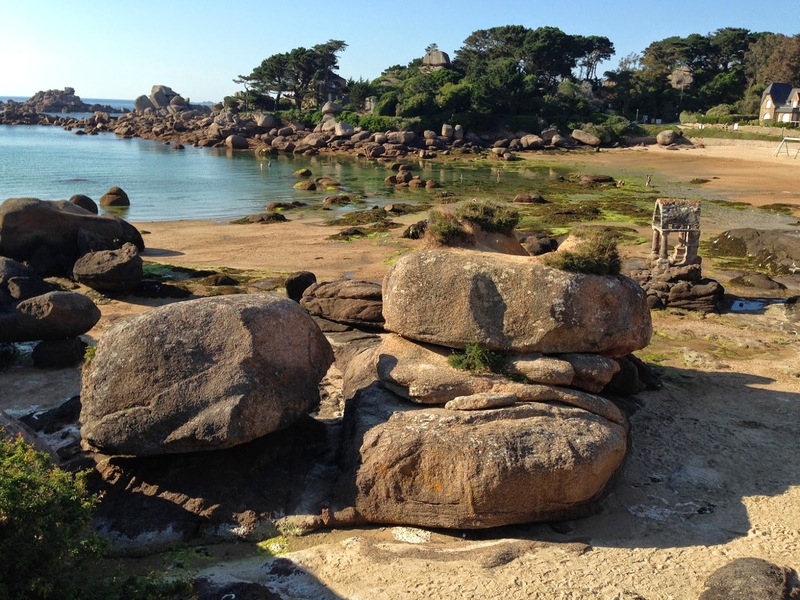 There is a little shrine to St. Guirec out on a rock in the water, and two hotels overlooking the scene. The smaller hotel just above the beach, Hotel Saint-Guirec et de la Plage has a relaxed patio bar, which makes a great place to recover after a jump in the water at the end of the run. At the beach, face north, with the water to your left. Start running up the path that turns to the right as it takes you between large gardens to either side. In just 300 meters you come out to the rocky coast, and the route stays that way until the turnaround at a point of land called Beg-Ar-Storloch, 3.8 kilometers ahead. There are great lookouts dotting the whole way, and you'll probably not want to miss the chance to enjoy the scenery. At first, you're running along the short northern coast of the peninsula, heading eastwards. 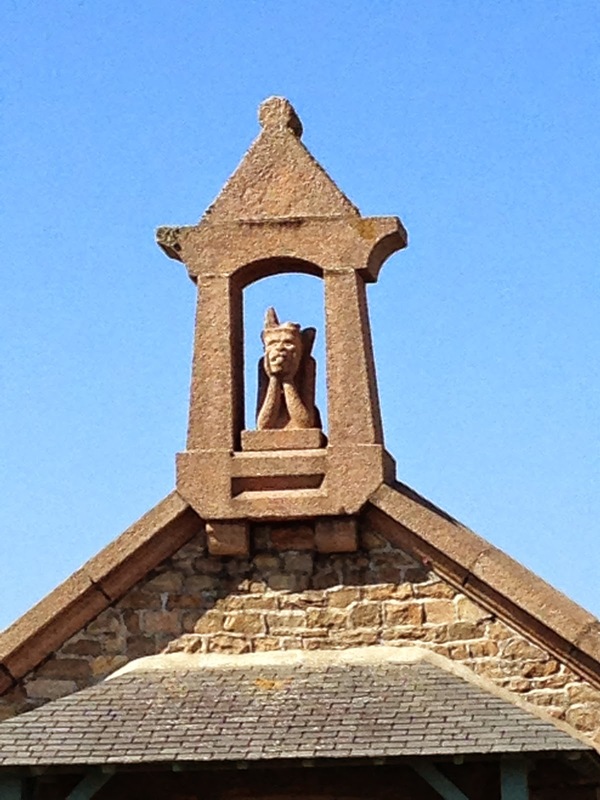 You'll go by a strange little chapel on the right with a little demon figure in the bell-tower. 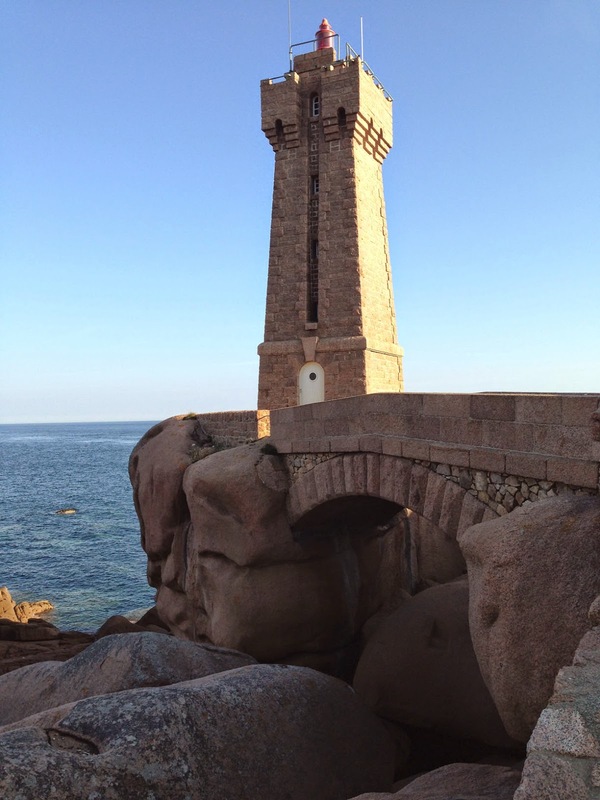 And on the left side, on a point of rocks, the lighthouse dominates the whole scene. You can run out to the lighthouse, either on the lower path among rocks and stairs, or the easy path up on the plateau. Now continue running eastwards past the old lighthouse-keeper's houses, and follow the path as it curves southwards, after about 1.2 kilometers. 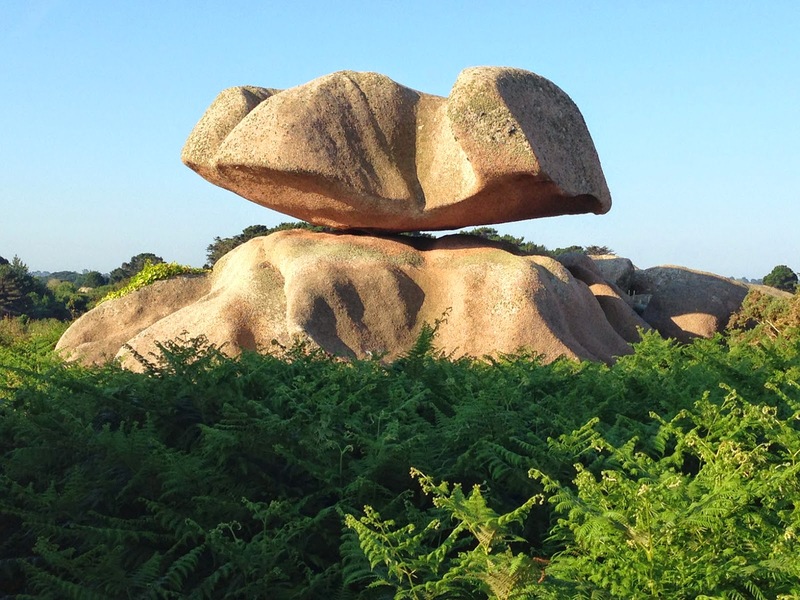 In every direction, there are fascinating rock formations, a little round stone building, balancing rocks, flowers and bushes. You can see the islands of Les Sept Îles out in the distance, to the east. As you continue down the trail, you'll pass a dirt parking lot, a little campground, and then go uphill past a second lighthouse on a grassy hill further from the water, at the 2.5-km mark. The second lighthouse is actually a "semaphore", which would use signal-flags to pass messages to ships nearby. When you reach Beg-Ar-Storloch point, the trail goes downhill and turns into a paved street, with some houses lining it. 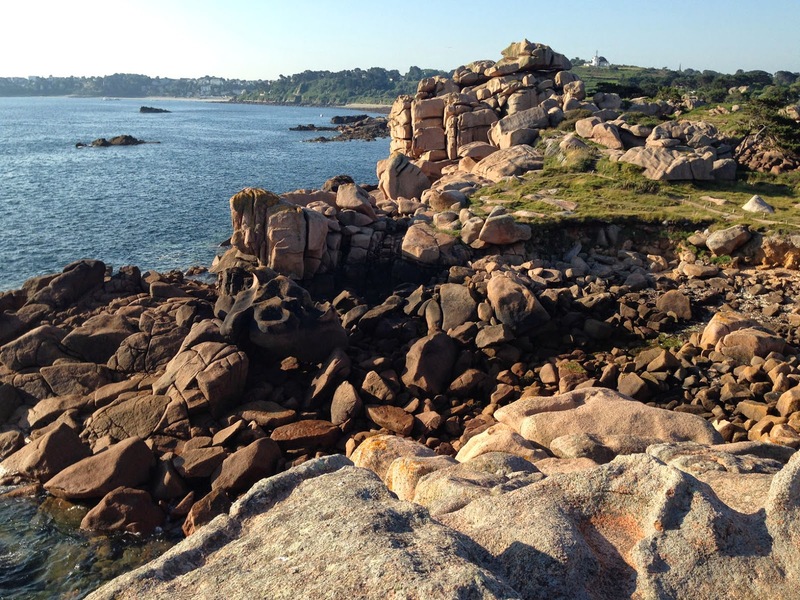 You can see the sweeping sand crescent of Plage de Trestraou in the next town, Perros-Guirec. The trail ends here, so let's turn around and view everything again from the other way!